The Memorial Candle Program has been designed to help offset the costs associated with the hosting this Tribute Website in perpetuity. Through the lighting of a memorial candle, your thoughtful gesture will be recorded in the Book of Memories and the proceeds will go directly towards helping ensure that the family and friends of Richard Litke can continue to memorialize, re-visit, interact with each other and enhance this tribute for future generations. 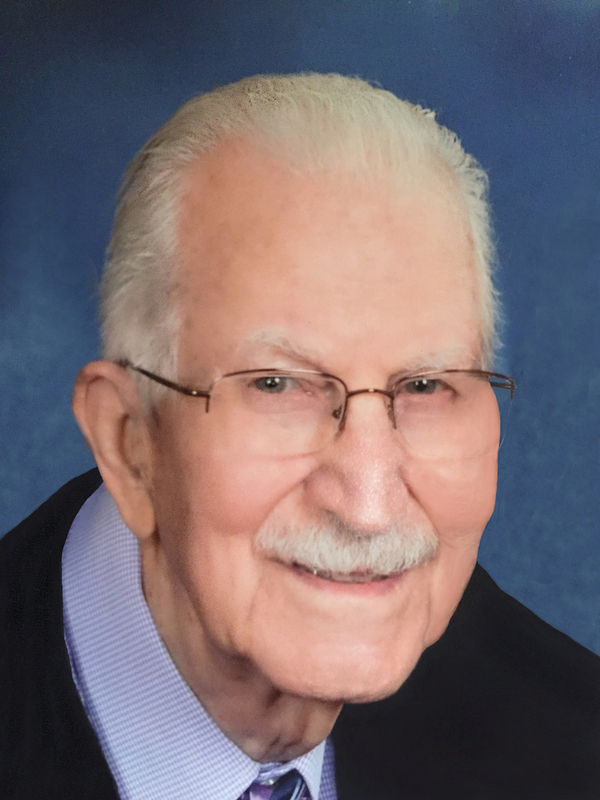 Dr. Richard Litke passed to his rest July 10, 2018 in Wenatchee, Washington. He was 97. Born in Cordell, Oklahoma on March 6, 1921, to Edward and Jessie (Block) Litke, Richard’s family moved west to farm when he was 4. He spent his youth in Spokane Valley and Bellingham exploring the large farming communities with his dog — memories he was always fond of sharing. After graduating from Auburn Adventist Academy, Richard met and married Norma Larson in 1942 and was drafted just a few weeks later. A peaceful soul, he remained a conscientious objector, and during WWII he served as a medic, chaplain’s clerk, and warehouse clerk, all while studying German. At the end of the war he was stationed in Germany as an intelligence officer and interpreter. He had a keen ability and interest in languages and, after he was honorably discharged from service, he attended Walla Walla University where he majored in Biblical studies. He completed enough credits to be a senior by his second year, and was asked to join the teaching staff while still a student. He finished his senior year studies while teaching Greek almost full time. Richard continued to teach Greek, Hebrew, and later Arabic for the college as a full-time, part-time, and contract professor for 60 years. During his early teaching years he also earned his PhD in ancient languages from Yale University, which included the translation of an ancient Assyrian cuneiform tablet. He spent two years studying the broken tablet under a microscope. And after turning in his dissertation he was informed there was no need to defend his thesis. It was accepted as it stood. His dissertation is now a special publication used by scholars worldwide. Not only a professor, Richard was a lifelong student. With the encouragement of Norma, Richard studied and taught himself Mandarin Chinese. He knew seven languages – and three separate Greek dialects – all told. He was also an author and assisted with academic and research texts on theology. After Norma’s passing, Richard moved to Wenatchee and married Jackie Larson on Valentine’s Day 2010. He and Jackie spent their time together writing and transcribing his manuscripts. They also enjoyed going to local churches where Richard would teach and preach. Fond memories for them both. Richard was a kind and gentle spirit. An intellect and teacher. Always grateful and with a soft sense of humor. Conversations with him always included interesting bits of knowledge shared in an accessible way. And he enjoyed time spent with those he was close to, family and students. Richard is remembered by his wife, Jackie, step daughters, Diana Hernandez and Denise Kerr, siblings, Mary Joe Johnson and Edward Litke, family, friends, fellow teachers, and students too numerous to mention. We are grateful to have had the scholar and the man in our lives. To send flowers to the family of Richard L Litke, please visit our Heartfelt Sympathies Store.